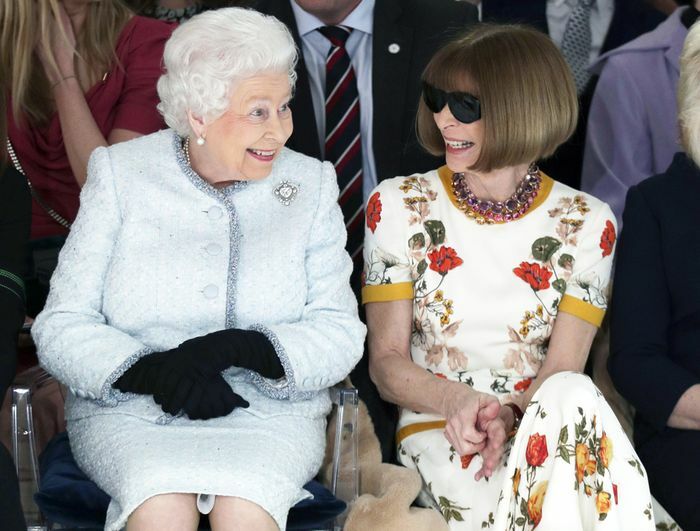 Anna Wintour is a front-row fixture, but her seatmate at the Richard Quinn show during London Fashion Week was decidedly unexpected: Queen Elizabeth II. That's right—the head of the monarchy attended a fashion show, and we can't get over the amazing photos. The queen was in attendance to present the Queen Elizabeth II Award for British Design to an up-and-coming British designer. For the occasion, her majesty wore a pale blue suit by Angela Kelly while Wintour wore a printed midi dress with leather boots—and, of course, her signature oversize shades. Read on to see the epic moment for yourself.